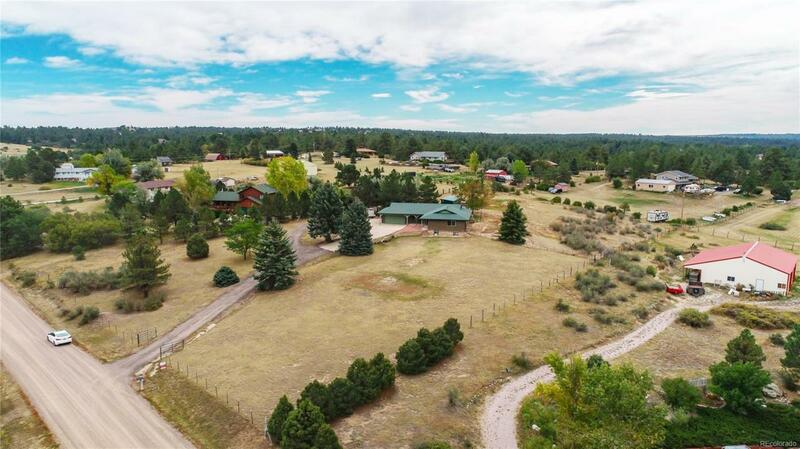 Enjoy total country living just 15 minutes from Parker on this beautiful 4-bedroom, 3 bathroom horse property! Well-maintained, ranch home that's been updated with new flooring & some fresh paint. There is also a perfect office in the basement. Kitchen includes stainless steel appliances, raised oak cabinets, and a free-standing island. The backyard includes an open run-in shed and gorgeous views of the mountains on clear days, which you can also see from the bedrooms. NEW BOILER. Take your kids over to Whispering Pines park to have some fun on the jungle gym or play some volleyball with friends on the sand court. Take a walk, jog, or bike ride in the thousand acres of Hidden Mesa Open Space just across Parker Rd, which is also connected to the Cherry Creek bike trail system. Castlewood Canyon State Park is five miles south of Franktown and also has great walking trails and facilities.